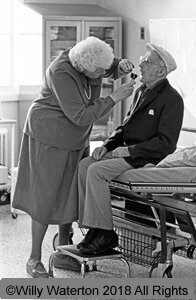 There have been many developments in medical care in Canada. This series will focus on recent advances in the treatment of cancer, neuroplasticity and the management of persistent pain, opioid abuse, innovation in health care, assisted dying/ end-of-life care and gerontology and drug use. Six knowledgeable speakers will present the latest information on health care affecting both local residents and people across Canada. This lecture will discuss advances in cancer management in recent years, with a focus on Immuno-oncology. Dr Anjum will present different treatment options helping listeners to understand the pros and cons of each. Hear about these treatment options as well as some recent advances in supportive and palliative care. Dr. Marhaz Anjum, FRCP (C), MRCP (UK) is an Oncologist at the Owen Sound hospital (Grey-Bruce Health Services). For centuries, persistent pain has been a mystery and the condition has been very difficult to manage. New research initiatives are helping to understand the working of the human brain. Hear how our understanding that the brain is “plastic” (neuroplasticity) has led to new techniques in persistent pain management. Click here to view the lecture notes for this presentation. Click here to view this lecture's resource list. Dr. Murray McQuigge; Hons.B.Sc., M.D., F.C.F.P., M.P.H. (Harvard), Former Medical Officer of Health, Dr. McQuigge has also been a researcher, family physician, a teacher of clinical medicine, and a university Adjunct professor of Family Medicine. Opiates have had a long standing role as valuable pain relievers. As these drugs gained in popularity through both prescription and illicit means, we have seen devastating effects ripple throughout our communities. In this talk we will look at the history of this problem, the challenges we are facing today and in the future, and solutions moving forward as we work to tackle this alarming issue. Marc Vacheresse – B.Sc., B.Sc. (Pharm), RPh. – is a pharmacist at Grey Bruce Health Services in Owen Sound. His primary clinical role is the provision of consultation to the local health care sector’s mental health and addiction services. What is Innovation in Health Care? There are lots of exciting things happening to improve health care in Canada and around the world, ranging from the use of artificial intelligence to new creative ways of paying family doctors. In this talk, Dr. Shaw will describe the range of activities that might be considered “innovations” for health care, and how the public can think about improving health care in new ways. Dr. Jay Shaw, PT, PhD is a scientist with the Women's College Research Institute, Women's College Hospital, and also lectures at the University of Toronto. While Medical Assistance in Dying (MAID) is a legal right in Canada, barriers still remain. In this presentation, you will learn about the Carter v. Canada court decision that granted the right to assisted death in Canada as well as the restrictive and unconstitutional nature of Bill C-14, Canada's federal assisted dying law. Barriers to access such as institutional bans and ineffective referral mechanisms will also be discussed. Kelsey Goforth, is Dying With Dignity’s National Volunteer and Events Coordinator. Older adults often take multiple medications for the treatment of chronic medical conditions. Taking medications in combination increases the risk for the development of medication-related side effects. Medication side effects can go unrecognized as illustrated by the prescribing cascade. This occurs when a medication side effect is misinterpreted as a new medical condition and an additional potentially unnecessary medication is prescribed to manage this side effect. This presentation will discuss ways to optimize medication use in older adults and to prevent the occurrence of these preventable prescribing cascades. Read Dr. Rochon's paper, published in the Lancet, about the prescribing cascade concept. Access the information from the Government of Ontario on how the MedsCheck program helps patients take medication safely.